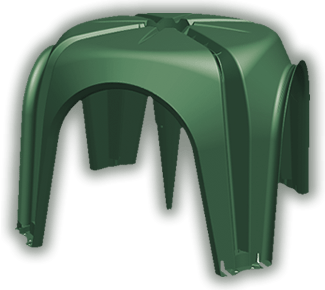 The original patented dome forming system with the central reinforced cone support. CUPOLEX products are manufactured by PONTAROLO ENGINEERING INC. When you choose a CUPOLEX product, you are choosing quality, experience and expertise drawn on from hundreds of millions of units already produced and installed throughout the globe.